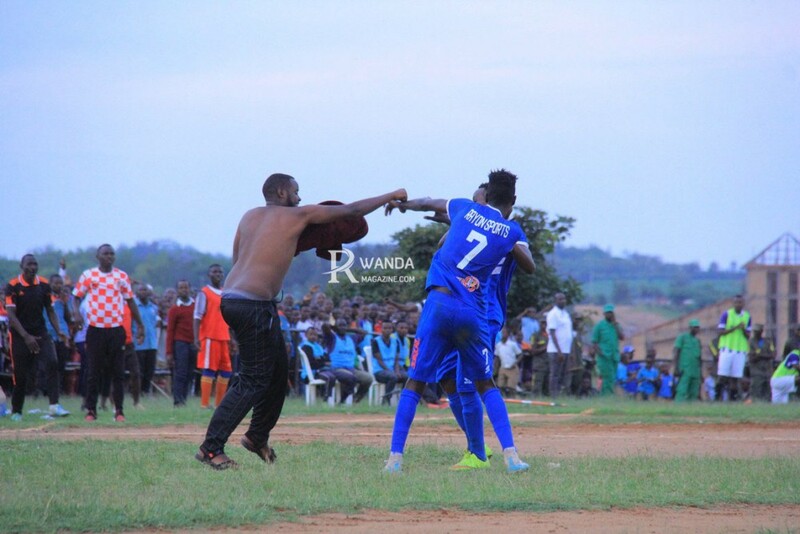 Rayon Sports Football Club forward, Caleb Bimenyimana, has been suspended from the league and will face a fine of Rwf30,000 after intentionally inflicting bodily injuries to a fan who invaded the pitch in a game against Sunrise on November 1, this year in Nyagatare. The decision was upheld on Friday by the Disciplinary Committee of Rwanda Football Federation (FERWAFA). Following the decisions as announced by FERWAFA on Monday, “Mr. Caleb Bimenyimana, Rayon Sports Fc forward and Dushimimana Claude, the Kit Manager of Rayon Sports FC were found guilty of intentionally inflicting bodily injuries (Lesions Corporelles) to a Sunrise Fc supporter who invaded the field of play during the above mentioned match day on November 1, 2018. Rayon Sports FC Burundian born forward, Bimenyimana is “slapped a four-match suspension and a fine of Rwf. 30,000,” reads the statement On FERWAFA’s website. Mr. Claude Dushimimana, the Kit Manager of Rayon Sports FC was handed a one-year suspension from all football activities and a fine of Rwf50,000 while Sunrise FC will host their next Azam Rwanda Premier League Match Day behind closed doors. Rayon Sports won the match on a 2-1 score, goals that were scored by Caleb Bimenyimana and Ghanaian forward Michael Sarpong. In the 87th minute, Sunrise FC scored a goal that was denied by the referee claiming that ‘it had been scored following a foul on Rayon Sports’ player’. Some of Sunrise FC supporters ran towards the playground celebrating the goal that was later canceled. Bimenyimana reacted by kicking the fan in the chest. The supporter fell down and taken off the pitch by the Police with Bimenyimana red carded and dismissed from the field. “I saw somebody from my back coming to beat me. I could have done nothing else but, I apologize to Rayon Sports’ committee, teammates and supporters and my lovers for the way I behaved,” reads a message on Bimenyimana’s Instagram page. “However, all what happened is due to pressure we have while on the playground. When you see someone coming to attack you like that, it is not easy,” Bimenyimana wrote. “The above decisions have been communicated to concerned clubs and they take immediate effect,” FERWAFA said.